"Steve, I want to thank you for all your work with my mom and I in both selling her home and assisting her in finding a new place. I really appreciate that you understood from the beginning that it was likely a transition that would take some time, and over the last year, you have been great at keeping my mom and I up-to-date about various opportunities. In the end my mom was able to sell her house for more money than she expected, in just a few days and not having to go through a long selling process. She was also able to purchase a home that is in the absolute perfect location for her current and future needs and has a great transition time as she makes her move. The entire experience working with you has been an excellent experience and one that I have already recommended to others. Attached is a photo of a happy client. With thanks, Chris"
"Dear Steve, when I kept seeing your brochure in my parent's paperwork I knew you would be the right person for the job of selling their home. I believe in Fate and as it was, magic happened when you listed and sold their home in a matter of a week. Living in their home of 44 years left them with an uncertainty that it would take much longer and they can't be happier that a smooth and easy sale took place which leaves them to transition into a retirement home comfortably. The experience of working with you has truly been a blessing and your understanding of what my parents wanted has left our whole family smiling and stating that we wish we could clone you and bring you over to where we live in Salmon Arm! 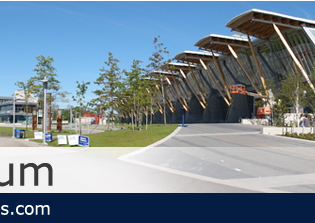 Keep up your fantastic service as you are definitely a true salesman in your niche' of the 'Sea' area of Richmond. Thank you so very very much. Family Heibloem"
"My wife and I chose Steve Buchsbaum after meeting with and interviewing him and a number of other potential real estate agents. Steve unique approach to concentrating his work selling in just one area of Richmond plus his 28 years of experience selling real estate were what sold us. In the end we believe after 3 short weeks it was Steve’s experience, honesty and integrity which sold our home." "I thought selling my home was going to be one of the most stressful experiences in my life. Instead, Steve made selling my home one of the easiest transactions I've ever done! His hard work and professionalism made the process easy. He not only met my expectations, but he exceeded them. I would most definitely recommend Steve anyone selling property! Thank you, Steve!" "Although we've known Steve personally for at least 20 years, we've recently had the pleasure of getting to know him professionally as we entrusted him to help us sell our first home. Through this experience we discovered that Steve is extremely knowledgeable and informative about the real estate market in our neighbourhood. His calming demeanour, excellent organizational skills, dedication, and reliability made the experience of selling our home stress-free. We listed and sold our home within 5 days and for well over asking price! We look forward to working with Steve again as we begin the search for our next home. Brian & Cynthia"
"I chose Steve Buchsbaum to sell my home since he specializes in the area has sold many homes in the neighbourhood. I had a very good experience, he sold my home quickly for a very good price and I was very happy with the service. He was very knowledgeable and was always looking out for me and never pressuring me. I would recommend him to anyone in the neighbourhood. Kirsten With"
"Dear Steve, We both wish to express how impressed we were in the professional way you guided us through the sale of our home of more than 30yrs. We knew you specialized in our area so we decided to meet with you and found you to be very patient in explaining how best to move forward. Within two or three days you presented us with four offers leading to an offer exceeding the asking price. You have been most helpful through this whole process and we have no hesitation in recommending your services." 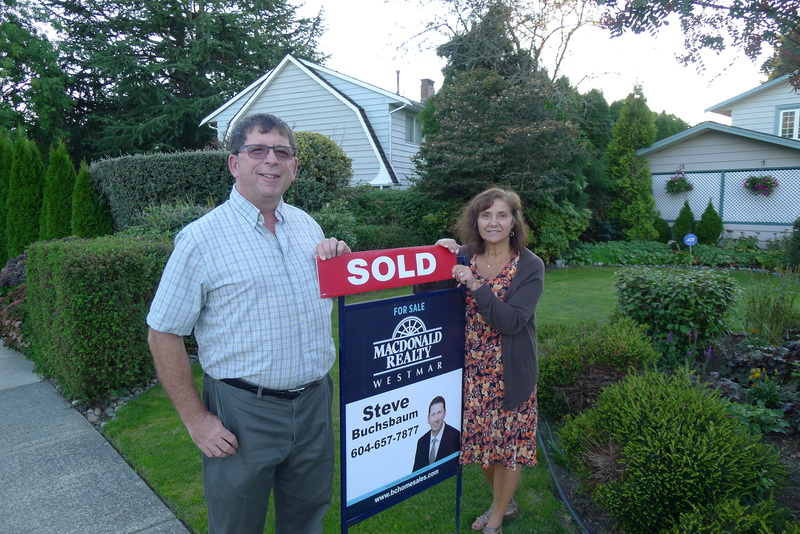 "We chose Steve to sell our house because we were impressed by his honesty and work ethic. We were not disappointed. We would recommend Steve to anyone wanting to sell their house quickly and efficiently." 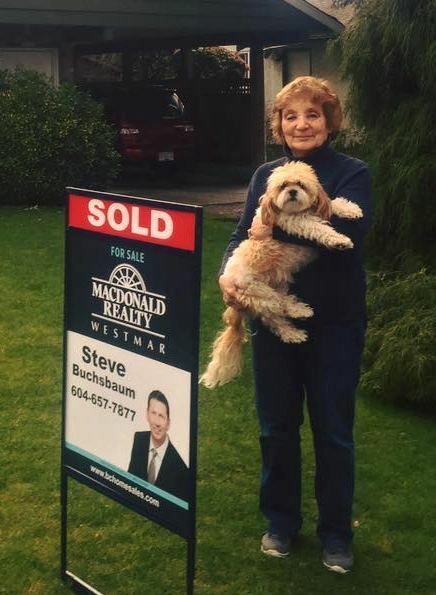 "For years, we saw Steve's bus-stop ads in our neighbourhood as well as received his mail-outs about homes sold in the area. Other agents had a similar practice, so it was difficult to figure out who to list our home with, considering everyone described themselves as leaders or "the best". I can confidentially say that from the moment we first met Steve to the moment we sold our home, he demonstrated why he actually is the best. Throughout the experience, Steve gave us all the support, guidance and direction we needed, and even though he had multiple other clients at the time, we always felt that we were his only client because of the level of service he provided. 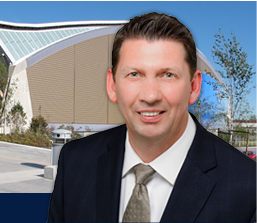 I recommend Steve to any family or friends who are looking to buy or sell their homes. With Steve, you know you will be in good hands and that he will represent your best interests. Thanks, Steve, for everything. We look forward to working with you again soon!" "Dear Steve, I would like to thank you selling my townhouse. What could have been a very stressful experience became a very pleasurable one. I appreciate your reliability and your professionalism, keeping in constant communication with me and answering my many questions. I felt completely at ease while you showed my home, making sure my cat was safe and my place was secured. Thank you so much, Louise Belsey"
"Hi Steve, Terry and I really appreciate all you have done to sell our house. I want to write a letter of recommendation for you. 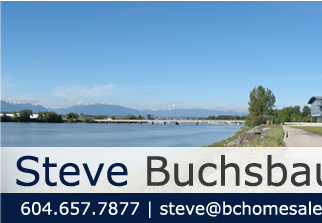 To anyone thinking of selling their house in this area of Richmond I recommend you invite Steve Buchsbaum to discuss your options with you. My wife and I were very impressed with how well prepared Steve was for our initial meeting. He was sincere and considerate of our particular circumstances. I had followed Steve's sales record for over ten years and was aware that he has specialized in our area of Richmond and knows it extremely well. He was very patient and willing to take the time to thoroughly explain the process to us. Throughout the entire process Steve was always available and he handled all the details himself. Steve gave us good advice for preparing our house but did not suggest anything requiring a great deal of expense or time. Steve had the experience required to deal with several different situations that came up and worked very hard on our behalf. He was thoughtful and offered good advice every step of the way. Steve did sell our house for more than what we had hoped for and I would certainly recommend him to my family and friends." "Dear Steve, Sorry for not sending this sooner, but we are just only now coming "up for air". We both want to thank you very much for making this house sale a stress free experience. We were both impressed with your professional attitude and total dedication to the job at hand. You are extremely hardworking and we would not hesitate to recommend you to anyone needing your services. Regards, The Turke`s "
"Our family has had the pleasure of experiecing something that is unheard of nowadays. Yes, we experienced professional yet caring agent services from Steve Buchsbaum. We found Steve to be very attentive to our needs and concerns. His Professional attitude and behaviour were a very welcome change - take it from someone who has had many opportunities to experience this from others in the past. Steve made things happen for us, and will certainly make things happen for others who choose to make the right decision by asking him to help in selling their home. I can honestly say that we will use his services in the future, with pleasure!" "Please accept this letter on behalf of myself Maureen Kilroe. I thank-you for your excellent professional attitude and superior customer service on helping me choose and purchase my apartment with Macdonald Realtors. I would highly recommend yourself and Macdonald Realtors to all my friends and colleagues. Once again thank-you very much." "Thank you. We were very pleased with your service and have no problem in highly recommending you to others who wish to buy or sell their homes. Thank you again and at this time we would like to wish you and your family a safe and happy holidays." "Dear Steve: Or and I would like to thank you very much for helping us find a new home. We are still settling in, and everything is slowly finding it's place. If we hear of anyone who needs a good realtor, we will definately recommend you." "We were very pleased with the personal and professional services of Steve Buchsbaum as realtor for 2 of our properties in Richmond. Steve was always available on his cell phone. We appreciated this personal service from Steve. Steve, also was very knowledgeable and professional in all facets of the listing and selling process. He expained everything in a clear and understandable manner. We highly recommend Steve Buchsbaum for all your Real Estate needs. "